Gershon Pain Specialists Providers Steven Gershon, M.D. Steven Gershon, M.D., is the medical director at Gershon Pain Specialists in Virginia Beach, Virginia. As a board-certified physical medicine and rehabilitation doctor with specialties in pain management and bioidentical hormone replacement therapy, he provides compassionate care that incorporates traditional, alternative, and holistic therapies for the best patient outcomes. Dr. Gershon received his medical degree from Downstate Medical Center in Brooklyn, New York. With over 25 years of clinical experience, he is highly regarded by his patients and colleagues, both locally and nationally. He has lectured in over 40 states and has presented in Canada, Great Britain, Germany, Belgium, the Netherlands, and Ireland. He is also a nationally recognized speaker on low back pain, musculoskeletal medicine, and myofascial pain syndrome. 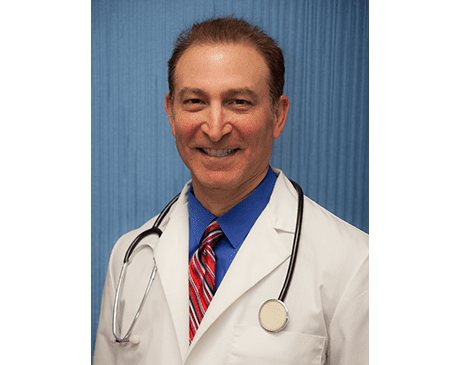 Having participated in over a dozen clinical trials, Dr. Gershon is on the leading edge of pain management treatments, recently adding medical weight loss and fitness modalities to his practice. With a strong desire to give back, he's also a clinical assistant professor at Eastern Virginia Medical School, and he works with both medical students and residents. Dr. Gershon also pioneered the Pain Program at the Virginia Beach’s Free Health Clinic over 20 years ago. He has a passion for teaching, too, and has been an Assistant Clinical Professor at Eastern Virginia Medical School in the Department of Physical Medicine and Rehabilitation for over 25 years. Dr. Gershon believes that a well-rounded, educational approach to care helps patients make informed decisions about their health, and he enjoys changing lives in his work every day.